Dinosaur enthusiasts will love this amazing adventure into prehistoric times. Dinosaur Adventure is an amusement park filled with tons of fun things to see and do for everyone in the family! 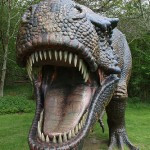 Based in Norfolk, Dinosaur Adventure is the place to visit if you and your kids love all things dinosaur! Upon entering the park you will first be taken on the dinosaur trail where you will meet some of history’s fiercest predators. Visitors will see the Secret Animal Garden where they will get the chance to meet some of the park’s animals and creepy crawlies. When in operation, the Deer Park Safari is a great way of getting up close to the herd collection of deer that roam the grounds. 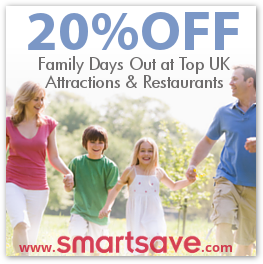 Dinosaur Adventure is more than just an animal park; there are walled Victorian style gardens to stroll in, as well as numerous play activities for the kids. From the Adventure Play Area to fun little cars on the Raptor Races track, there is something to please everyone. There’s even a golf course, Jurassic Putt! There’s plenty to learn about at Dinosaur Adventure. Kids will have the chance to ‘discover’ dinosaur fossils by using their skills digging and brushing and will be involved in educational activities and demonstrations. You’ll also get to handle some of the parks cute and cuddly animals, such as their rabbits, or for the brave among you, you can handle some of the park’s larger creepy crawlies.